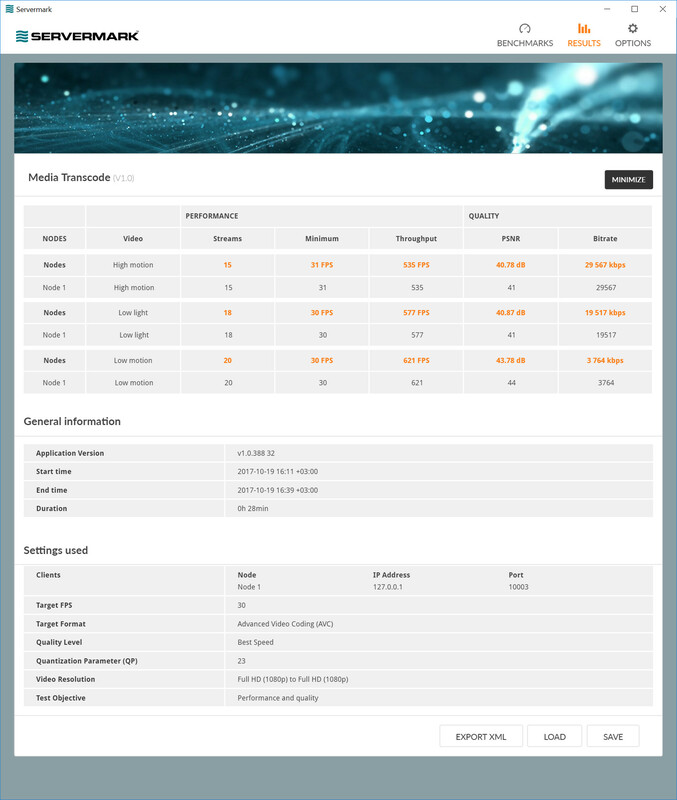 The first server benchmark in our new Servermark suite—Servermark Media Transcode—is now available from our UL website. Servermark is a new benchmark suite from UL and Futuremark. Servermark brings our trusted benchmarking expertise to industry, enterprise, and press users who are searching for accurate and impartial server benchmarks. Servermark tests are easy to install, run, and understand, which means you can choose and compare server hardware configurations with confidence. The first Servermark test in the suite is the Media Transcode benchmark. More Servermark benchmarks are in development and will be available with future updates. Media Transcode is a Servermark benchmark for testing the performance of media transcoding servers individually or as a cluster. The aim of the benchmark is to determine how many video streams a server can transcode simultaneously using high-performance media transcoding libraries from Intel and NVIDIA. The video content used in the benchmark test covers real-world challenges such high motion, low motion, and low light. A range of options and settings let you configure the target video format, resolution, and quality level. The benchmark produces a set of useful performance and quality metrics that you can use to compare server configurations. You can also compare the input and output videos by eye or with your own quality tools. Futuremark is part of UL, the global safety science company. Servermark is our first UL-branded benchmark. You can find out more about Servermark on our new UL website at https://benchmarks.UL.com/servermark.